Evelyn was born on June 4, 1931 to Arno and Anna (Wickesberg) Wehrmann on the family farm in the Town of Herman in Sheboygan County, Wisconsin. She was the fourth of five children. The kids were educated in Washington School, a one-room school in the Village of Ada. She graduated from Plymouth High School in 1949 and attended Sheboygan County Normal School for teachers. She began teaching in a one-room school house in Rogersville near Fond du Lac in 1951. Harmon Gundersen would walk from Plymouth to Fond du Lac to see Evelyn; sometimes breaking up the trip by stopping at St. Paul’s Lutheran Church along the way. On June 7, 1952, they were married at Immanuel United Church of Christ, also in the Town of Herman. The couple lived in Plymouth most of their married life and had three children, Karole, David, and Judy. Evelyn was always busy. She and Ham traveled across the United States, and she, mostly with friends and relatives, traveled to Germany, Spain, Ireland, Russia, and Norway, to name a few countries. She played countless rounds of golf at Quit Qui Oc in Elkhart Lake. She also biked across Iowa (RAGBRAI) with her dear friend Rudie in the searing summer heat. Mom was an environmentalist before most others were: she recycled in the 70s. She knew the value of shunning overconsumption and asked the “Does it bring me joy?” question long before Marie Kondo was born. She loved the Brewers, the Badgers, and the Packers. She loved birding, gardening, bicycling, walking, cross-country skiing, kayaking, and really anything that brought her outdoors to appreciate the gifts of nature. In her younger years, she was a talented seamstress, who sewed wedding, bridesmaid, and prom dresses. She was a progressive thinker and a life-long blue Democrat in a red county. But most of all, she lifted up everyone around her. She loved her family and devoted herself to being a wonderful wife, mother, grandmother, and great-grandmother. 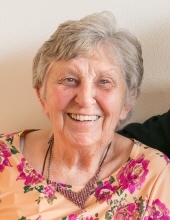 She attended countless concerts, sporting events, and other school functions of her grandchildren and great grandchildren. She also found time to volunteer in her community in too many functions to list. She was a lifelong member of Salem United Church of Christ. She even went to Capitol Hill to lobby Congress on behalf of the Sierra Club. Go, Mom! But most of all, she was the kindest, most patient, loving person any of us will ever have known. She found the good in everyone, even when the good was well hidden. To send flowers or a remembrance gift to the family of Evelyn A. Gundersen, please visit our Tribute Store. "Email Address" would like to share the life celebration of Evelyn A. Gundersen. Click on the "link" to go to share a favorite memory or leave a condolence message for the family.